Come spring and many Indian towns turn into a riot of colours with a generous range of seasonal blooms and fruits. Increasing number of garden competitions, more and more people setting up terrace and kitchen gardens, and a growing interest in horticulture, have set the scene for a booming horticultural tourism. 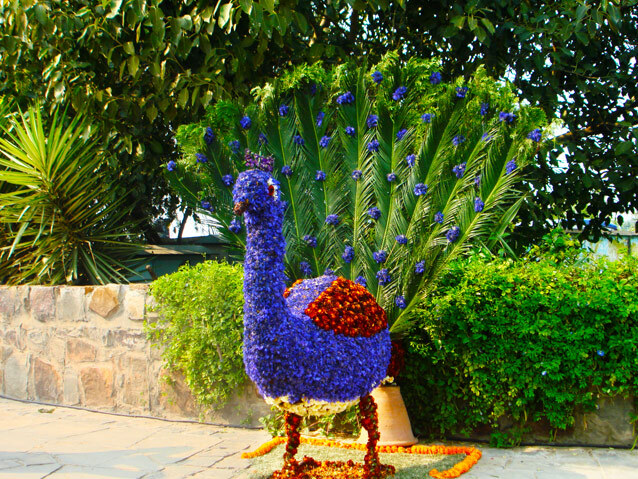 Flower arrangements in different shapes dot the path to the display area at the Garden of Five Senses in New Delhi. The garden exhibits a mix of potted plants, plant leaves, terrariums and succulents, hanging plants, medicinal and herbal shrubs, amongst many others. “It is so refreshing to walk amidst plants and flowers, observing their unusual colours, shapes and sizes. It is even better to take a stroll during flower festivals when everything is much more beautiful,” says Esha Kataria, who visited the garden during the Delhi Garden Tourism Festival 2018 in February. India is expected to hold a new record production of fruits, vegetables, spices and plantation crops during 2017-18. According to the Indian Agriculture Ministry, final production figures for the year 2016-17 show that the overall horticulture production in the country outstripped the food grain production fifth year in a row. As India is one of the largest producers of horticultural crops and fruits in the world, various horticultural sites are now opening up in the country to have a share in the tourism pie. 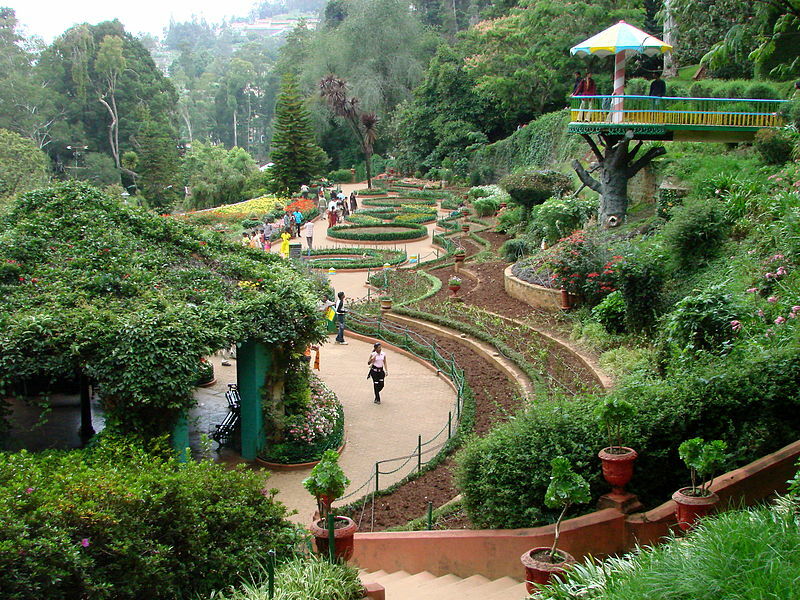 Perhaps the most well-known of the lot is the Government Botanical Garden (GBG) in Ooty, Tamil Nadu, which, for the first time in its 160-year history received nearly four million tourists. In a bid to further develop horticultural tourism in the area, the Karnataka horticulture department recently opened The Karnataka Siri Horticulture Garden (KSHG) at the Fern Hill area in Ooty. KSHG has set itself an ambitious target – to surpass the revenue generated by the hill station’s own botanical garden, which has an annual turnover of INR 90-100 million. The KSHG, under development for at least 10 years, boasts of a 10-acre topiary garden, a frigid glass housing low temperature climate plants and an Italian garden. The second phase of the garden boasts of a viewpoint, giving the tourists a bird’s-eye view of the garden and the water bodies, including a pool for aquatic species, ornamental fish and for collection of water through rainwater harvesting. “We will run eco-cars around the garden as there are more slopes than steps. This will enable tourists to explore the garden tirelessly,” B K Krishnamurthy, assistant horticulture officer, told the media. Smaller gardens including an Italian garden with sculptures and flower arrangements inspired by 15th century villas of Rome and Florence; a maze and a tea garden are among other attractions at the KSHG. Apart from developing horticultural spots in Tamil Nadu, horticulture properties in Kemmangundi, Nandi Hills, and Biligiri Ranga Hills in Karnataka will also be developed this year with introduction of ornamental flowers and landscaping plants to attract tourists. Similarly, Bheemanakolli, near Kabini backwaters in Mysore district will also be developed as picnic spots. To help flower growers sell their produce at an organised market place, six flower markets will be established at Mysore, Kodagu, Sirsi, Udupi, Tumkur and Belgaum. “One flower market I love is the Dadar Market in Mumbai. It is the best place to not only purchase flowers but also to know about them in detail as many vendors who sell the flowers also grow these themselves,” says Saket Shah, who is currently staying in the city for work. 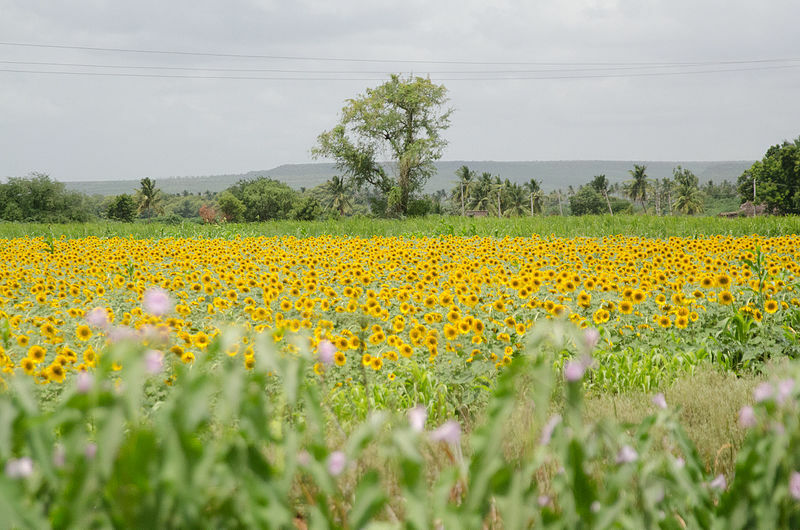 Amongst other states, Karnataka is attracting horticultural tourists in different ways. Last year, the horticulture department introduced Mango Tourism in the Dharwad District. Trips to mango groves in Hubli were organised in April, where visitors were taken to the villages of Kalakeri and Halligeri. 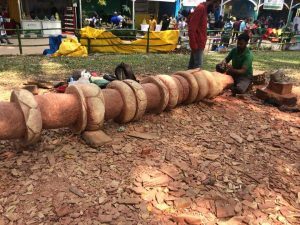 Whereas this year, after dozens of trees came down in Bengaluru’s Lalbagh Botanical Gardens last October, instead of auctioning or selling deadwood to wood dealers, which is the usual practice after tress fall off, the horticulture authorities in the area invited artists to turn the fallen woods into sculptures. 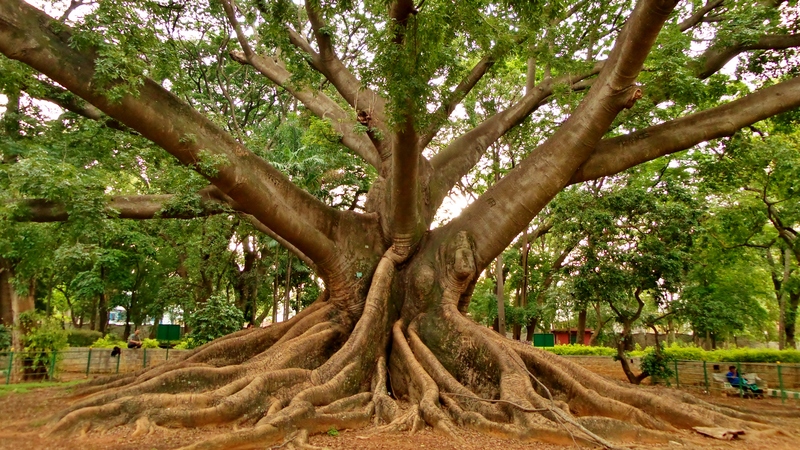 More than 50 artists from Shantiniketan, Baroda, West Bengal, Hyderabad, Mumbai, and from towns in Karnataka participated in transforming the trees, which now attract hundreds of tourists to the garden. Similarly, in order to attract more tourists to Puducherry, Kiran Bedi, Lieutenant Governor of the Union territory, is also working to develop light and sound shows; flower, vegetable and fruit gardens; and eco-clubs, at the botanical gardens in the French colony. Established in 1820s by the French, these gardens are major tourist spots in the area that also provided a backdrop to many films including The Life of Pi.